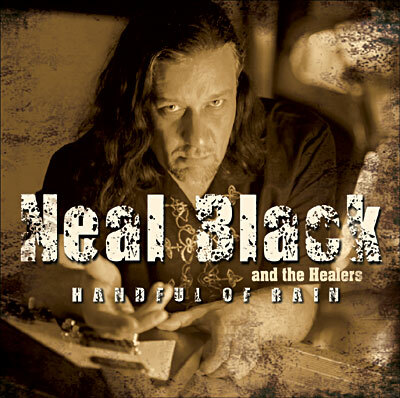 NEAL BLACK , Texas Blues Rock guitarist /vocalist has spent the last 25 years electrifying audiences around the world with his fusion of blues , rock , jazz and country . Referred to by one critic as " the master of high voltage Texas Boogie ", Neal Black’s guitarist credits include performances on stage or in the studio with Blues /Rock legends like Jimmy Dawkins , Lucky Peterson , Johnnie Johnson , The Chambers Brothers , Papa John Creach , Chuck Berry , John Sebastian (Lovin Spoonful) , Dan Baird ( ex-Georgia Sattelites), Julian Vaughan ( ex-BB King , Albert King , Rudy Ray Moore ) Gerardo Velez (ex-Jimi Hendrix), Harvey Brooks (ex- Bob Dylan ), Jon Paris ( ex-Johnny Winter), Tim Tindall ( ex-Bill Perry, Richie Havens), Jose Fors & Forseps ( Legendary Mexican Artist/Musician), Alabama Slim and others . Neal Black has performed in 17 countries at major festivals and venues including the MONTREAL International Jazzfest (Canada), WOODSTOCK 20th anniversary (New York), GUADALAJARA Blues (Mexico), NEW MORNING, ANTONE’S (Texas) , MONTREUX Jazz (Switzerland), RIVER BLUES FEST (Philadelphia), BRAGDOYA Blues (Norway), LONESTAR ROADHOUSE (N.Y.C), PUISTOBLUES (Finland), CASTLEBAR Blues ( Ireland), NEW ORLEANS Music Fest (Germany) ,, and many more. HARD ROCK CAFE “circuit and performing at blues festivals there.. During his time in Mexico, Neal recorded the critically acclaimed "DREAMS ARE FOR LOSERS” . He was also a professor of music at Pan American University and collaborated often on stageand in the studio with legendary Mexican artist /musician , JOSE FORS & FORSEPS . 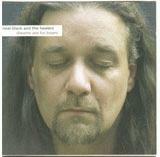 Neal Black is currently living in the south of France , touring regularly throughout Europe with his band ""Neal Black& THE HEALERS" and working as a producer / songwriter / guitarist for projects with other artists including the BLUES CONSPIRACY, FRED CHAPELLIER, LEADFOOT RIVET, NICO WAYNE TOUSSAINT , NINA VAN HORN and many more. The Blues of Neal Black, Texas Blues Rock Musician, is sung with a voice that’s somewhere between Tom Waits and Howlin’ Wolf after a box of Marlboro. The Blues of Neal Black is colored with dark rage, sweet melancholy and drenched in smoking guitar work that burns like a Tequila Sunrise. 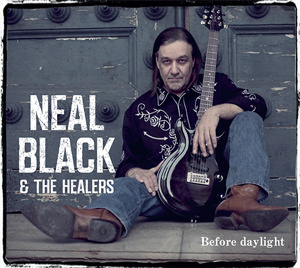 With this new album, Neal Black’s music links up with the universe of his first recordings, and reminds us that if the guitar of his “Texan pistolero” might remind us of Chris Rea or Peter Green, his lyrics come across as strongly inspired by Bukowski’s mood and approach to life. 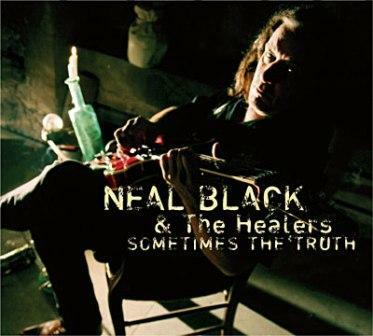 Neal Black , Texas Blues Rock guitarist /vocalist has spent 25 years electrifying audiences around the world with his fusion of blues and rock with occasional references to jazz and country .. Referred to by one crItic as " The Master Of High Voltage Texas Boogie “, NEAL BLACK’s guitarist credits include performances on stage or in the studio with Blues /Rock legends like Jimmy Dawkins , Lucky Peterson , Johnnie Johnson, The Chambers Brothers, Papa John Creach, Chuck Berry, John Sebastian (ex- Doors , Lovin Spoonful), Alabama Slim and many more.This album confirms the talent of a leading blues songwriter. Sometimes the Truth is a milestone in the career of the singer/guitarist and blues composer originally from San Antonio, Texas,. Part of this set was recorded in the New York studio of Neal’s good friend Popa Chubby (who makes noted vocal appearances on three tracks and plays guitar on five), while the rest was cut in Europe with a little help from noted Frenchies Nico "Wayne” Toussaint and Fred Chapellier. Here, his interview on Blues Again website. The Blues of Neal Black is sung with a voice that’s somewhere between Tom Waits and Howling Wolf after a carton of Marlboro. The Blues of Neal Black is colored with dark rage, sweet melancholy and drenched in smoking guitarwork that burns like a Tequila Sunrise. “Handful of Rain” is Neal Black’s 5th album released on Dixiefrog, this new album is filled with his lyrics that bite and scratch at your soul, and opens doors of long forgotten shadows in the back of your mind. Special guest musicians include : Gib Wharton/Pedal Steel Guitar ( ex-Van Morrison, Holmes Brothers), LLoyd Herman/Drums (ex- Gatemouth Brown), Val Cronk/Bass & Piano (ex- Augie Meyers) and Fred Chapellier (acoustic Guitar & Bass).